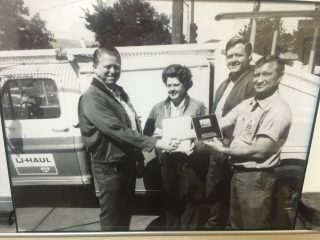 FILLMORE, Calif.―When Harold Foy Sr. added a U-Haul Dealership to his building-supply business in 1966, his son, Harold II, was always around to help out after school. “I was easy to find, because I was always the guy with the broom!” Harold II joked. He has certainly come a long way from a teen doing all of the grunt work. 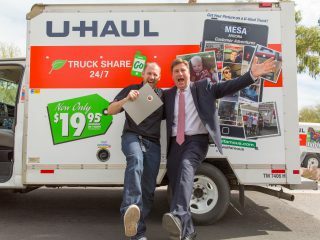 Today, he runs the family business, Fillmore Building Supply and Storage and U-Haul Dealership, which is celebrating its 50th anniversary with U-Haul. Harold II jokes that he wasn’t forced to work at the dealership growing up. However, his dad had a pretty good method of “encouraging” him to do so. 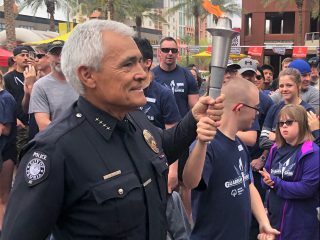 “My dad allowed me to eat at his dinner table and live under his roof, so as long as I was doing that, I would also work here,” Harold II laughed. Harold Foy II loves working with customers, and it shows. 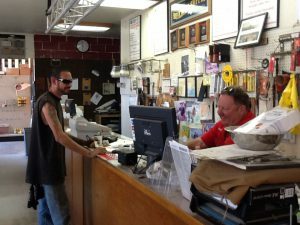 The younger Foy has been running the place since the late 1980s, when he bought it from his dad, who passed away in 2002. Every day, Harold II applies the knowledge and skills his dad passed down to him. “My dad had the old farmer mentality. It didn’t matter how long it took or how much effort you had to put in, as long as you got the end result you were looking for,” Harold II reminisced. “When I was younger, I was always trying to figure out faster ways to ‘buck the system.’ But too often I just created more work for myself. I should have stuck with what worked. “Today,” he continued, “it’s all about doing things faster, better and quicker. But that’s not always the best way.” Being old-fashioned, however, didn’t mean that Foy Sr. couldn’t make people laugh. Fillmore is a popular shooting location for movie and TV studios because of its proximity to Hollywood. Also, its look hasn’t changed much over the years. But Fillmore Building Supply looks quite different from when Harold Foy Sr. first opened his doors in the ‘60s. 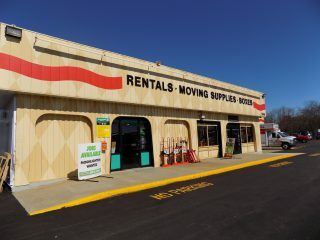 The original building on their property—which served as the apartment of the one-armed man on the old TV show “The Fugitive”—is gone, but the Foys have built 18 self-storage units on the property since 1984. 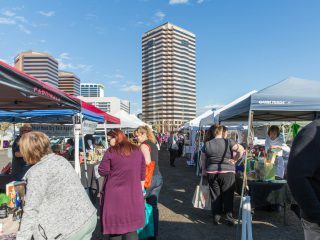 “You always have to adapt and offer another option for customers in order to stay in business,” Harold II stressed. 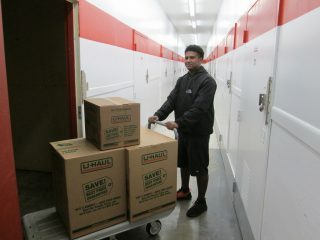 The success of the U-Box Program has caused Foy to put plans to build more self-storage units on hold. 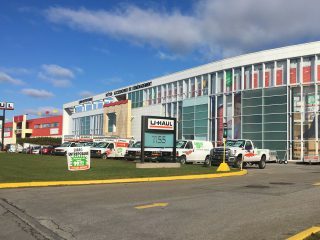 While he plans to build more self-storage units someday, Harold II recently has turned his attention to U-Box containers. 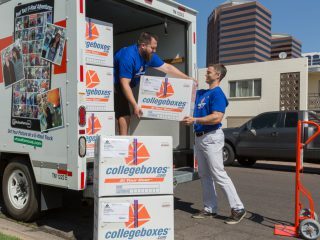 “We became a U-Box Dealer in 2014,” he noted. 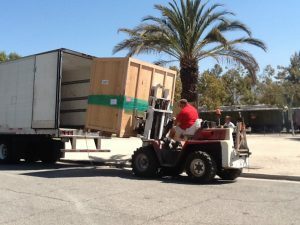 “We’re seeing a lot of activity with that now, more so than with our self-storage units. 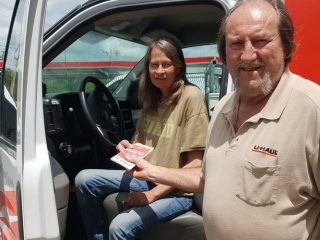 As he celebrates 50 years with U-Haul, Harold II is left to wonder where all that time went.